Sign up and receive Property Email Alerts of Houses for sale in Dansoman, Accra. Sitting on a 0.34acre of land is this beautifully designed property located in in a serene enclave, off the road near Carl Reindorf Park at Dansoman. Available also is an outhouse (kitchenette, laundry and a washroom), two car garage, water storage system, security post and ample parking. 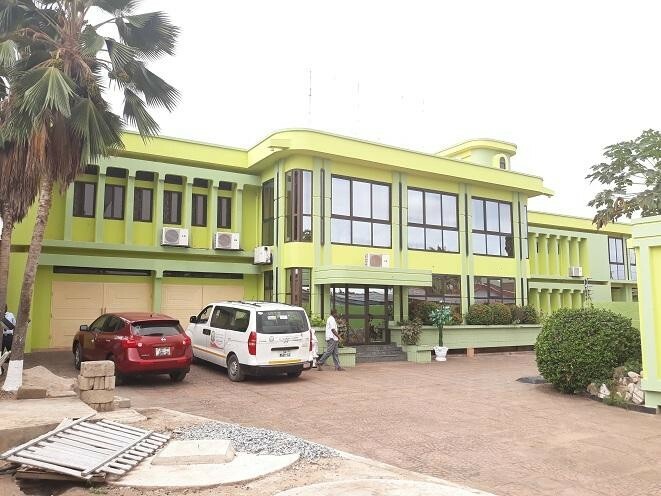 Sign-up and receive Property Email Alerts of Houses for sale in Dansoman, Accra.